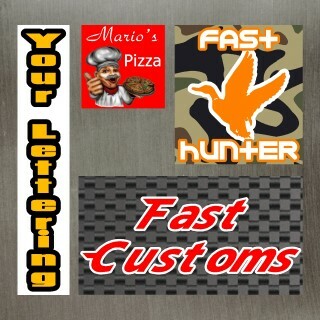 Our Square Cut Custom Decals have a rectangular or square shaped background. Corners are SQUARE CUT. As low as 10 cents each. Several Material options. Paper, Outdoor durable vinyl, clear vinyl, chrome, brushed aluminum, reflective and many others. Want to get a quote for your custom Square Cut decal? We have been making custom square cut decals since 2001! Below are the bumper stickers styles we offer in bulk (normally a 100 quantity minimum) for HUGE discounts.